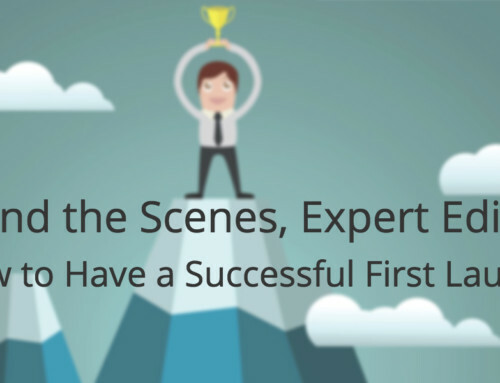 Note to readers: This is the 3rd post in our series about launching your first course. If you’ve been following along, great! If you’re new here, you can catch up by reading parts one and two. You’ve done so much hard work on your first online course. And now it’s time to launch! And maybe more than a little worried about putting yourself out there. There’s a lot involved in pulling off a big launch, and the whole process can be downright nerve-wracking. 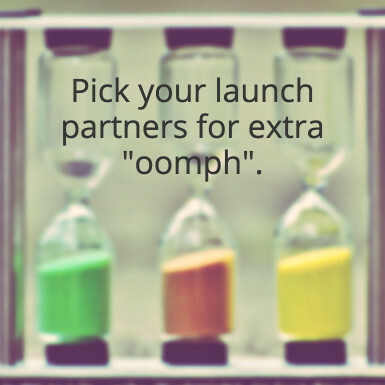 Which means you may be tempted to launch quietly… with an email or two, and maybe a couple of social media posts. But don’t fall into the single announcement trap. There’s a better way, and we’re here with you every step of the way. 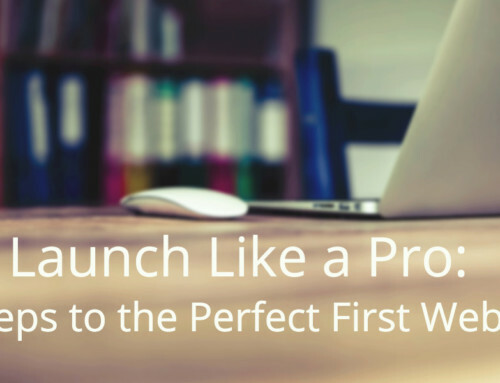 This series of posts will give you everything you need to know to make your first launch a success. Are you ready for a major launch? Before you go any further, let’s do one last check to make sure you’re in the right place. If you have never run a pilot or beta test of your course, stop reading now. Start with a pilot instead. But if you have run your course before, you’ve worked out all the bugs, and you’re ready to launch — then read on! When you’re ready to launch your full course, you have to go big. You have to work hard and leave nothing on the table. There are many reasons for this, but there are a couple that stand out. 1. People have to be comfortable before they buy from you. If you play it small and safe, you undermine your authority. It takes confidence to come across as an expert — by not holding back during your launch, you make your future students certain that you are the person they want to work with. 2. People are both emotional and rational when it comes time to spend money. Show them you’re the person who can finally solve their problem. You’re likely not the first person to make the claim, so make your audience understand why you actually can — and will. Tap into the emotions behind the problem you’re solving and ease their rational mind with proof you can deliver on your promise. 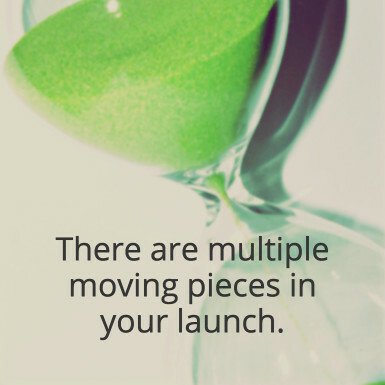 Now that you’re ready to continue with the launch process, you’ll want to gather all the pieces. This post builds on a post from last month about setting the foundation for your first successful launch. First time course creators often get overwhelmed with all of the moving pieces involved in a launch. That’s why this series walks you through the entire process, step by step. If you follow the steps in this series, you will have a road map to guide you successfully through your first launch. There is one final post coming later this month to conclude the series. Knowing what motivates your audience can make or break your launch. Understand what your audience wants, and speak to them in their own language. This post shows you how. Set the foundation for your launch. Tell the story of your course and show the benefits with your launch story and value proposition. This post shows you how. You have to decide what to charge for your course. You also want to understand how to make your offer in a compelling way. This post shows you how. Every good launch has a strategy. And every strategy hinges on making sure each piece fits in the right place. Your campaign calendar is imperative to your launch success because it pulls all of the moving pieces together and helps you know when to release each piece of launch content. Keep reading for how to create your calendar. You can only reach a certain number of people by yourself. That’s why you may want to include partners in your launch. Later in this post, you’ll learn how to create successful partnerships for whatever stage of business you’re in. A launch lives or dies by the way you present your course to the world. This post will teach you how to include email and social media promotion into your launch, and give you examples of real promotional copy. You can’t include every single detail about your course in your promotional emails or social media posts. So where do people go to get more information? Your sales letter. To wrap up this series, we’ll take a dive deep into sales letters later in October. Now that you know all of the pieces you need, let’s take a look at how each one works. From warming up your audience at the beginning of the launch to making the sale at the end, there are multiple opportunities to interact with your audience during your launch. The first is to make sure you engage with them often. “Build it and they will come” is not a good launch strategy. 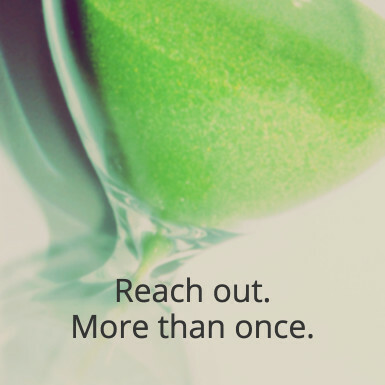 Instead, you need to do a lot of outreach before the start date of your course. It takes repeated exposure to get people comfortable with an idea — one touch is never enough, and most people need time to incubate, process, and make a decision. You need to be persistent in your marketing efforts because not everyone sees everything that you share. In fact, it can take several different attempts to get in front of even a small portion of your audience. 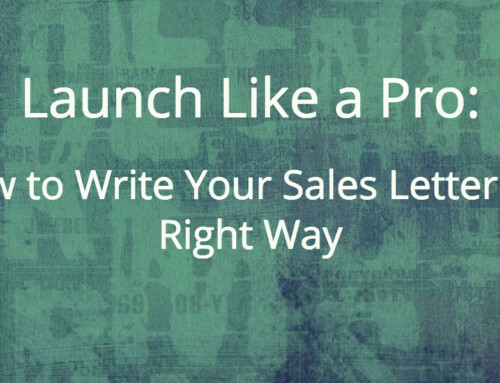 There are a few basic ways to reach out to your audience prior to the start of your launch. Email your list. Give them a sneak peek of what you’re about to do. Let them know that you have a bunch of valuable new material headed their way. Write a post for your blog. You can also guest post on other blogs. Educate your audience on the topic of your course and get them interested in what you’re sharing. Share on social media. Your social media posts can also educate your audience. Vary the images and the message, and keep your shares short and snappy — think about creating catchy “sound bites” that will grab their attention. You also have other options for connecting with your audience and delivering value. Some of these methods involve a bit more work, so plan your calendar accordingly. Offer a free Q&A or group coaching call for your community. Offer free 20 minute one-on-one consultations. Put together a free mini-course as an introduction to the topic your course covers. Provide a downloadable workbook to help them solve part of their problem. Try different types of media — audio recordings, screencasts, etc. As you plan your launch calendar, think about how you can interact with your audience before you send your first campaign email. Partnering with other people can give your launch a big boost. But if you’re just getting started you don’t want to mimic the gurus and their hundreds of joint venture partners. Instead, reach out to some of the big – or medium sized – bloggers in your industry and see if you can write a guest post for them. Or reach out to a smaller blogger with a really engaged audience. Contact them as far in advance as you can, because many popular bloggers have their content calendars set for months ahead of time. And don’t count on being able to pick a really specific date for your post — you might be able to request a specific time frame, but guest posts often get published when the content calendar allows. Write a post that provides value for the bigger blogger’s audience about a topic that overlaps with both of your interests. For example, Abe wrote a guest post for Danny Iny at Mirasee when we launched the most recent version of our 30 Day Course Creation challenge. The post walks Mirasee readers through some of the biggest mistakes that a course creator can make, and what to do instead. Include a link and a call to action in your bio. Link back to a landing page that lets their audience members sign up for your email list or pre-launch list. If you are more advanced or have built up relationships with bigger partners in your industry, you might consider having a launch partner or two. But be careful. Only proceed with launch partners if you are certain that your launch will exceed expectations. Your level of success reflects back to anyone who is promoting your course. Make sure that it’s the best possible reflection! Now let’s take a look at the central component of your launch — your calendar. 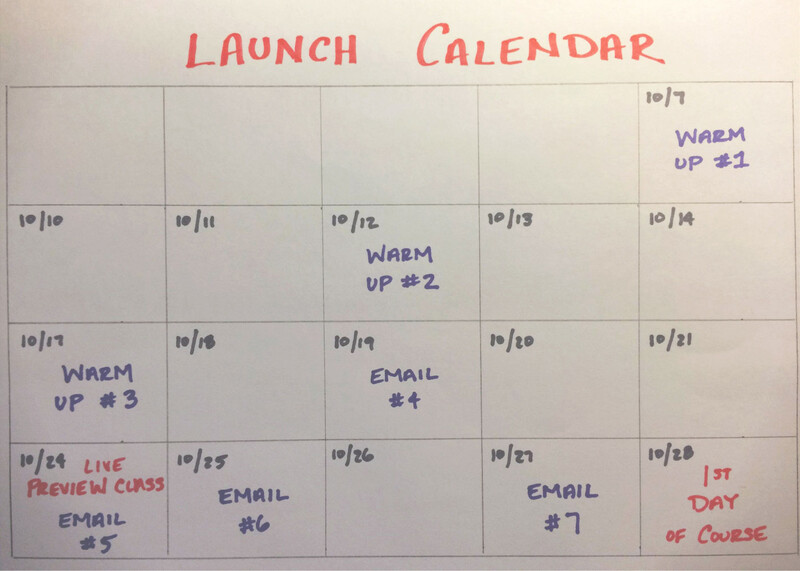 The sample calendar below breaks down a 4-week launch campaign — including a series of 7 emails that lead up to the start date of your online course. For this example, the course starts on a Friday. If your course will start on a different day of the week, adjust your calendar accordingly. Work backward from the start date of your course to plan a campaign of email, social media posts, and other content. The first three emails in the series are a warmup sequence, getting your email list used to hearing from you frequently around the topic of your course. Note: Each of the email examples below comes directly from the launch of this fall’s 30 Day Course Creation Challenge. The 30 Day Challenge is a free course that we run, so you will want to change the language around pricing accordingly. Send this email 21 days before the start of your course. The first email in the series tells the story of the challenge or problem that motivated you to design your course. You can pull in some elements of your launch story in this email. Your social media posts will focus on reaching out to people you think might be a good fit for your course and starting conversations with them around your topic. The first email in the 30 Day Challenge sequence was slightly different from what you will use. We warmed up our audience by promoting pre-launch content in the form of an interactive quiz that helped them determine their course creator archetype. Subject: What’s Your Course Creation Archetype? It’s been great to share our experiences and training on course creation with you this year. Through our connections – in calls, emails, and online, we’ve realized that you fit into a course creator style – we call them archetypes. If you’ve ever taken assessments such as “The Fascinate Advantage” you may be familiar with the insights you can get from a deeper understanding of your personal style, your strengths, and potential pitfalls. Once you do, you’ll be able to access a video that will explain more about your archetype and what it means. I think you’ll find the quiz valuable, and I look forward to your feedback. And let me know your specific archetype, ok? P.S. One more thing: I’m also working on a video that explains more about the different ways you can use courses (for example – attracting leads vs. leveraging your time). If that sounds useful to you, I’ll let you know when it’s ready. Send this email 16 days before the start of your course. The second warmup email will show your readers how someone’s life or work is transformed when they overcome the key problem that your course helps solve. Your social media posts will focus on showing this transformation and getting people interested in how they can create this transformation for themselves. The second email in the 30 Day Challenge sequence included a worksheet as part of our pre-launch content. You will send a different email to your audience, showing the transformational possibility of solving their key problem. Subject: Starter? Growth? Or Impact? I understand it can be tricky to figure out how online courses fit into your business. I talk to people about this a lot, and I’ve noticed some confusion. Maybe you are feeling this too. In my experience, the confusion often comes from following the wrong model. Let me explain. Have you ever tried to model someone’s success in this way? While modeling can be valuable, the problem I see is when it leads to skipping over an understanding of what stage of business you’re in, and your customer’s experience. How this shows up: trying to launch courses like an advanced, sophisticated business, even when you’re just getting started. Sadly, this never works. Make sure you understand what stage of business you’re in, and how you serve customers at different phases of their journey with you. To help you understand this concept, I’ve put together a short worksheet to help you through these ideas – check it out here. Take a peek, and make sure you’re focusing at the right place for your current stage of business. P.S. There’s a also a video presentation available with the worksheet, to help you apply the ideas – definitely go through this, as well. I think you’ll find the tactics in it really helpful. Send this email 11 days before the start of your course. The final warmup email in the series will teach them a small piece of one of the key ideas from the course. You will also include a resource that helps them apply it (for example, a self-assessment, worksheet, or quiz). Your social media will also have an educational focus this week, teasing the content that you are sharing with your email subscribers. Our launch of the 30 Day Challenge involved 3 stages of pre-launch content. Since we’re further along in our stage of business, we have moved on to more advanced launch techniques. For your purposes as a new course creator, follow the suggested content in this post. Some day soon you’ll be creating your own advanced pre-launch content! So, we talked about what kind of course creator you are (your strengths), as well as understanding where you are in your business. And how you are supporting your customer (through their journey). All great stuff, yet you may still be wondering – what course do I actually create now? My suggestion – think about finding a good fit. Meaning the fit between your course idea, the stage of business you are in, and what your customers need from you. It’s a lot to go into over email, so I put together a worksheet that you can use to identify a course that will fit – and then let me know what questions you have or what you need feedback on. Here’s the worksheet for you. P.S. Did I mention that our 30 Day Course Creation Challenge is going to be kicking off soon? It’s free to join and I think you’ll find it valuable as you move forward with your course idea. Look for more information on the Challenge in the near future. Send this email 9 days before the start of your course. The focus of the 4th email is to get people signed up for your Live Preview Class that will be held the following Monday (the 24th in our example). Your goal for this email is to get people to sign up to attend the (free) webinar. Let them know what benefits they will get from attending the class. Then close the email with a link to a short landing page that describes the class and lets them sign up. Your social media efforts will focus solely on getting people interested in the Live Preview Class. Since the 30 Day Challenge launch didn’t include a Live Preview Class, we added this fictional example for your reference. Fill in the blanks with the details that apply to your course. Over the last few weeks, I’ve had some great conversations about [your topic]. It’s become really clear to me that most people still struggle with [the problem your course helps them fix]. That’s why I’m holding a training just for you. It will be held this coming Monday, October 24th at 2:30 pm Eastern. So register now and mark your calendar! I’ll be working on finalizing the content this week, so if you have anything you’re really struggling with, or anything you’d like me to cover in the class hit reply and let me know. The goal of this training is to help you [#1 benefit of your Live Preview Class]. Once you sign up, you’ll get a confirmation email with all of the details. P.S. Register now, and then reply to share your thoughts with me. Send this email 4 days before the start of your course. In the 5th email, tell them that registration is finally open for your course — they can sign up today. You will also run your Live Preview Class before sending out this email. The webinar will give them a taste of the full program by teaching them a different approach to one of the key ideas from the course and how to apply it. At the end of the Live Preview Class your call to action sends them to the sales page. Your social media will push attendance for the Live Preview Class. After you are finished teaching the class, switch the focus to registration for your course opening up. It’s so important to begin with this — with understanding your customer, and your stage of business, and developing your course idea from there. (Not just jumping in with the first idea that comes to mind). I’ve noticed, too, that it’s often not enough to understand the frameworks, ideas and tactics. There’s a real gap between understanding and taking action. Part of the reason, I think, is that working on your online course idea can be a lonely endeavor sometimes. So, we’ve put together a program to try to make it more social and fun. We’re calling it the 30 Day Course Creation Challenge because there are 30 days of action steps and mini-assignments to move you forward. I’ll be leading the Challenge and trying to help everyone out as much as I can. Send this email 3 days before the start of your course. Let them know that registration is closing in a couple of days. Recap the benefits of the course and why they should join — including testimonials from your pilot students is a great way to show the benefits with social proof. End with a clear call to action that links to the sales page. Your social media messages will be similar. Focus on the benefits of the course and emphasize the upcoming deadline. We sent this email the day before the 30 Day Challenge started. You will send this email the Tuesday prior to class starting, so change your time frame accordingly. Subject: Can you make it tomorrow? A quick reminder – I’ll be starting to teach the 30 Day Course Creation Challenge tomorrow (Friday, Sept 9th). Will you be able to join me? I’m excited to connect with you, and I know you’ll enjoy meeting the many amazing people in our community. As a sneak peek into what you’ll get out of the challenge, I thought you might be interested in some of the key takeaways that previous participants have shared. Just START! I did, and may not be moving as quickly as I’d like but putting a date on the calendar for my first webinar, even before modules 1 & 2 are complete has lit a fire! My biggest “aha” so far has been the shift from: What idea do I have to share with my clients? To, what outcome am I helping my clients achieve? That’s an important difference! If you’re feeling stuck with creating your course, reply and let me know what your biggest question or stumbling block is. I’ll do my very best to help. P.S. Here’s the link again to join the 30 Day Course Creation Challenge. I can’t wait to “meet” you inside the online community! Send this email 1 day before the start of your course. Let people know that registration is closing and class is starting tomorrow. Since you have a clear deadline, create a sense of urgency to prompt people to take action right away. Remind them that they can still join if they act fast. Include a link to the sales page. Your social media posts will include similar messaging. This email is not the original “last call” email we sent out. Since the 30 Day Challenge is free, the email we sent out would not be appropriate for closing registration for a paid course. Instead, we wanted to give you a better idea of what a compelling last chance email would look like. I’m really looking forward to the first day of the 30 Day Course Creation Challenge. I wanted to let you know that the challenge goes off the market in just a few hours. Registration is closing at 11:59 pm Eastern tonight. If you have any last minute questions, please reply and let me know what’s on your mind. And if you want in, you know what to do. This is it. The big day when your students start their learning journey with you! Today, your students get access to the first module of your course material and your launch is officially over. Now you may be wondering how the rest of your tasks fit in to this calendar. You know the start date of your course, and now you know when you will send the first of your warmup emails. Look at your calendar and schedule time into your calendar to write your series of 7 emails — make sure that you give yourself enough time to create all of the emails and any supplemental materials. 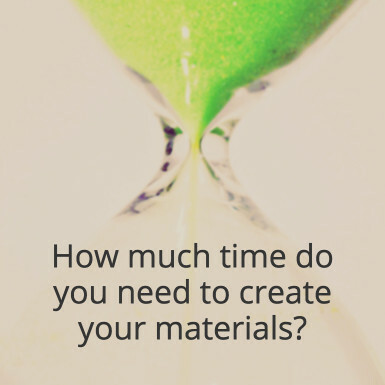 For example, if you can write one email per day and you are creating a worksheet to go along with your launch materials, then give yourself at least a week (preferably two) to create those resources. And make sure that you leave plenty of time to prepare for teaching your Live Preview Class. You may want to read the post on running a webinar again for more information as you’re preparing for the class. So there you have it. Your launch calendar, promotional partners and material, all ready to go. Launches can be overwhelming. Intimidating. Downright scary. There are lots of moving pieces and plenty of opportunities to make mistakes. And putting yourself out there in a big way takes courage. But take heart. You can do this. 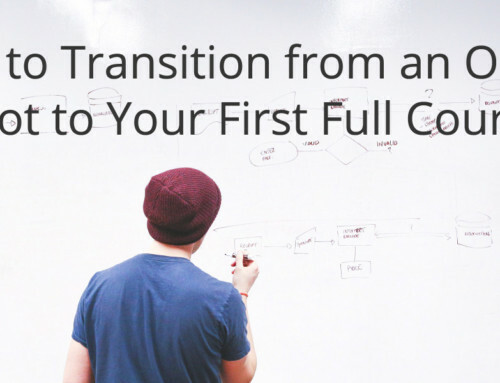 Now you have a road map that guides you through your first launch, step by step. You have a course that your audience is going to love. 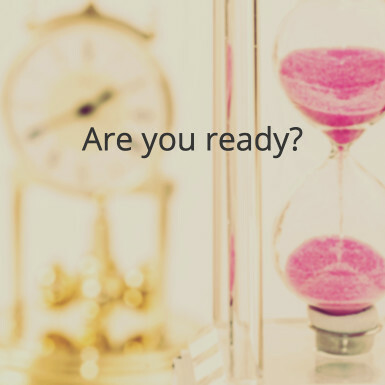 All you have to do now is put together the pieces of your launch and get that course out into the world! When are you launching your first course? Is there somewhere you’re stuck in the process? Let us know in the comments! Thanks so much Summer! And isn’t that the truth – actually sticking to the plan can be tough!